As we all know (unless you're Kylie Jenner (hi Kylie!)) bathroom cupboard space is prime beauty real estate. 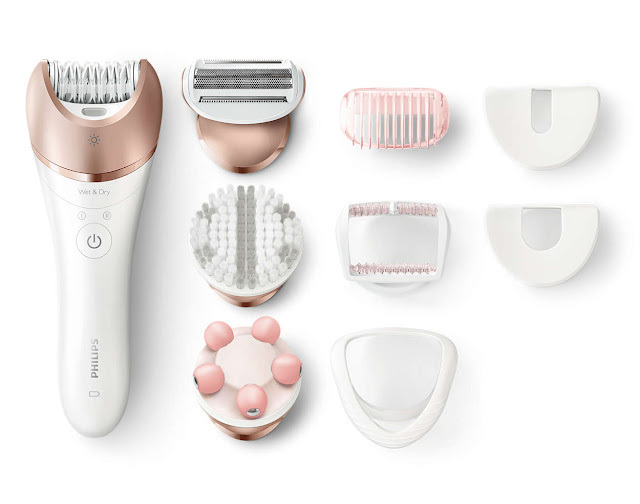 So when I was asked to review the Philips Satinelle Wet/Dry Epilator I thought "will you earn a home in the vanity, or will you be a bi-monthly torture device". Sure it had EIGHT different heads but this is epilating (pulling the hair out by the root for any dudes out there) and I am a baby. So I started small... by testing out the massage head. Now, the massage head is a special treat. Yay massages, yay Satinelle! But a word of warning: don't use it on your neck near your hairline. Your hair might get caught. Don't ask me how I know, I'm just grateful I don't live alone. My first trial had filled me with fear (mostly of my own stupidity but whatever), so I went slow again and tried out the body exfoliation attachment. 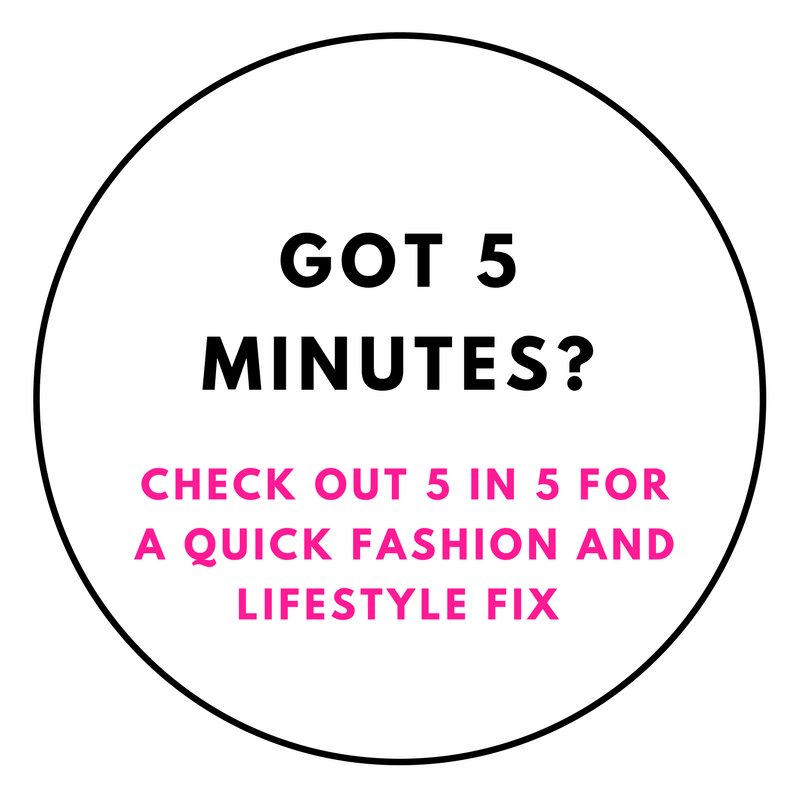 It was softer than my baby nieces tootsies and while meant for your body, I tried it on the low speed over my face and décolletage and loved the results. Not sure if they sell replacement heads though so I'm limiting my use to every fortnight until I find out. A win for the Satinelle! Oh look, a shaving head! We'll get to the epilating later... time to shave! There is a longer hair option (like a #2 or something) attachment but alas, the only place I had hair long to experiment with that was my head and the massage incident was fresh in my mind, so I popped that bit off shaved a patch on my legs. It's not the most powerful shaver, in fact, it's so quiet compared to others I actually checked to see if I had it on high! But it was working! Not as close as a razor shave obviously, but that's not what we came here for is it? It was time. I was ready to actually use the product for it's main purpose: epilating. Since this baby can be used in the shower and I know hot water opens up your pores making hair removal easier, I decided to test it in there. Yes, I was scared. No, I am not as ashamed as I should be. I'd spent most of my life shying away from waxes, even opting for laser, to avoid the pain. But I'm an adult and I'd already started writing this review so I had to finish. I went all in and used the biggest size with the extra gentle attachment added (I am not that brave). The light made focusing on a small area MUCH easier, but I was shocked by how little pain I felt. If I couldn't see the hair being pulled out I wouldn't have thought it was! The legs went well, but I wasn't finished, there was still the facial hair and bikini line guides to try. The bikini line one was too small for the job. I don't know what sort of bikini lines people are after but I don't have the discipline to carefully remove a line of hair, I'd rather tear it all out and move on. You can also use this head for underarms but I just couldn't do it.Maybe one day. Probs not going back to this head unless I want a lightening bolt down under, it'd be great for that! Soz Satinelle. There was one more attachment and I was so hairless by now that I resembled a seal. A very hairless seal. Onto the face! Unlike a lot of women, I'm blessed enough not to have very dark facial hair BUT, being of Scottish descent I do have plenty of hair, it's just light. So while I wouldn't say I rock a lady mo (but I would and no one should be concerned if they do! ), I do have a lot of 'peach fuzz'. So I gave the Satinelle one final whirl on the corners of my lips and it was all over before I knew it. A bit more stingy than the legs thanks to the nerves in your face being closer to the surface but it was so easy, it was worth the discomfort. Also, totally random and don't ask why this impressed me, but the storage bag the Satinelle comes with is the best I've seen with a shaver. It's actually a decent size! I don't have to squash everything into a tiny pouch AND it has a zip not some quango drawstring that always comes open. I like the pouch. Am I an epilating addict now? On my legs, yes! I'm going to stick with laser for my lady parts though because I need that over quickly. Epilating is slow going but the results speak for themselves. Personally, I'd much rather put aside 30 minutes every three weeks to epilate than unsuccessfully remember to shave twice a week. All in all the Philips Satinelle Epilator, or as I like to call it now, The 8 In 1 Miracle Hair Destroyer, is a great buy for anyone who spends half their wage on waxing and would rather spend half their wage on cheese and wine.